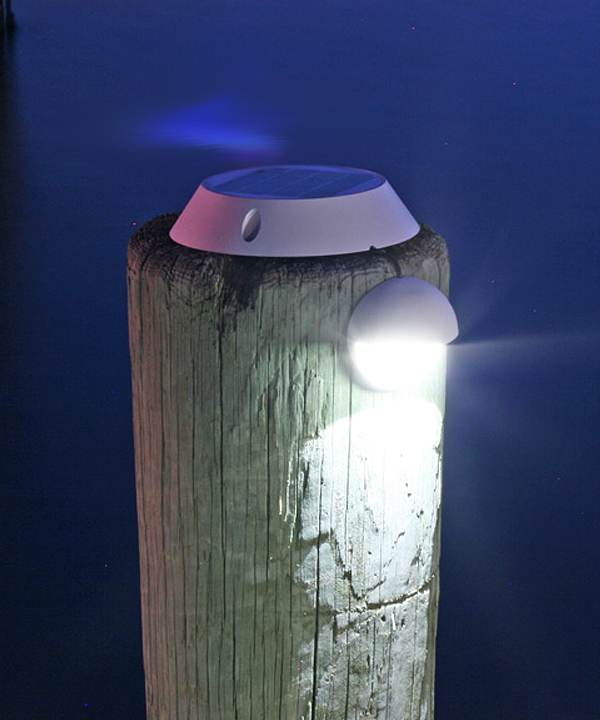 The Solar Piling Down Light provides bright but indirect lighting that effectively illuminates docks, walkways or decks and stairs without producing a "blinding effect" for those emerging from the dark. Discounts provide when multiple units are purchased. To save when you want a mixture of finish and/or or light colors (such as 2 white and 1 amber LED) or for additional savings on large quantities, please call (866) 686-6903 or email info@SolarFlairLighting.com. 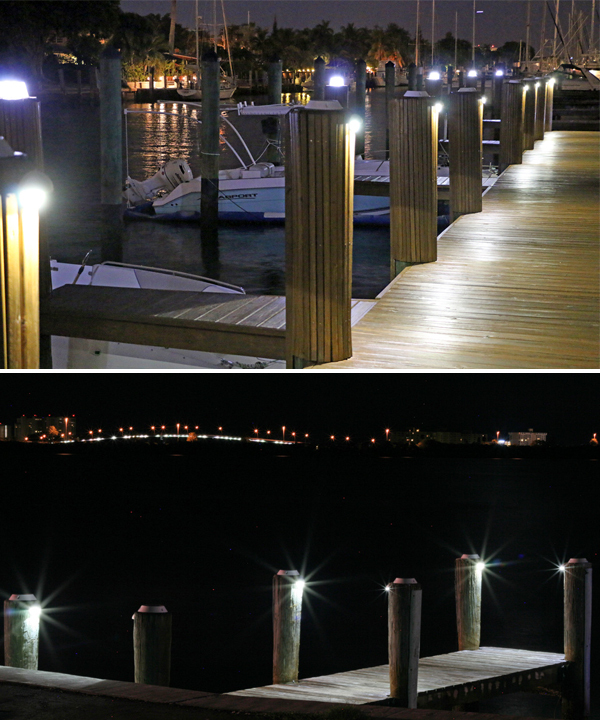 With an IP68 water proof design, these lights are rated for use in fresh and saltwater marine environments. 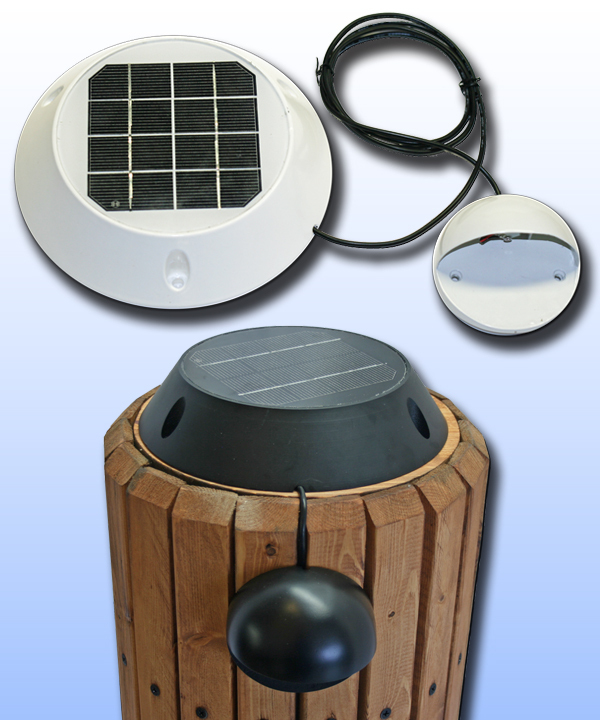 While they are not designed to be submersed, they can withstand strong sprays of fresh or salt water associated with the environments for which they are designed, including docks and piers. 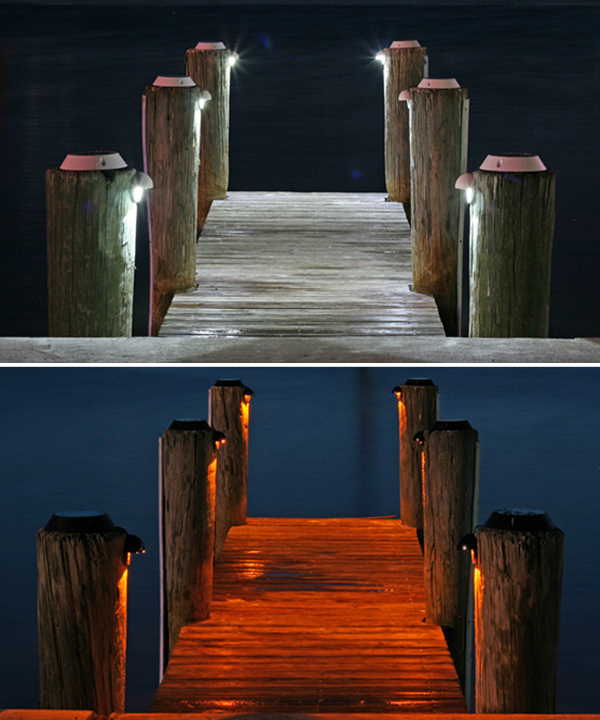 These rugged lights are designed to withstand prolonged exposure to extreme sunlight and frigid winter conditions. 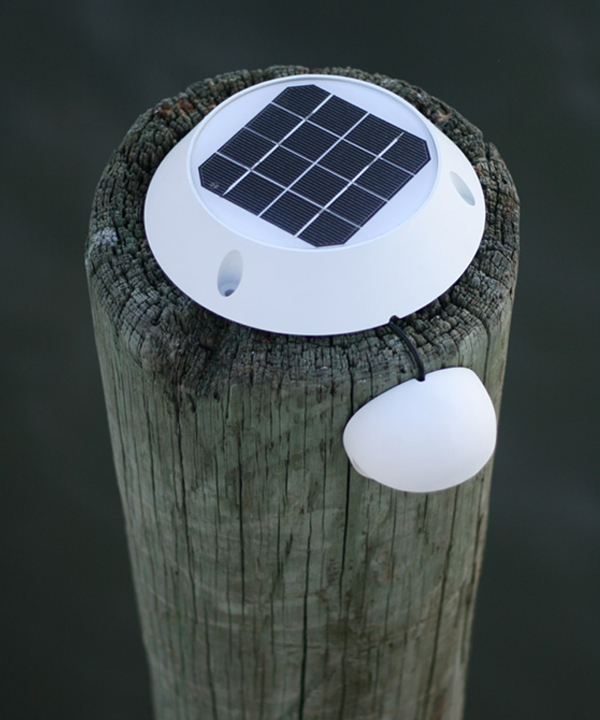 The solar panel mounts on the top of the piling, post or any flat surface at least 8 inches in diameter. The separate lighting fixture is mounted on the side of the post or wall. A one yard long cord connects the solar panel to the solar light, proving flexibility in how and where you place the light. 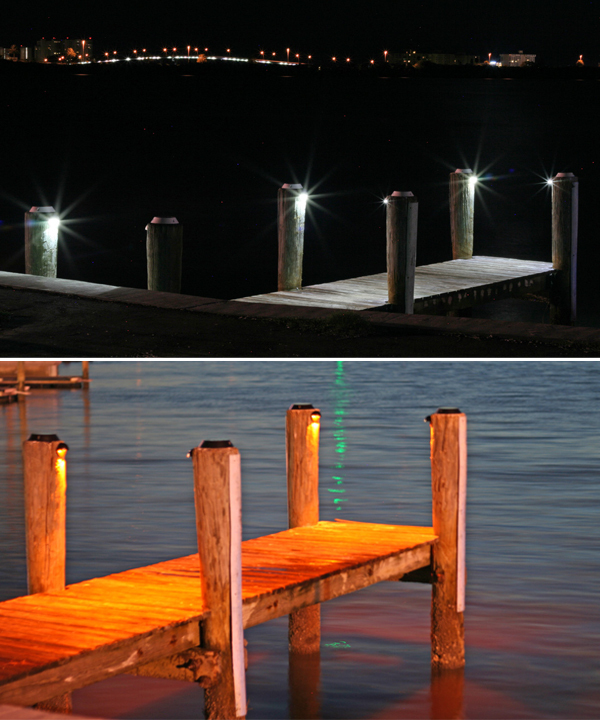 The Piling Down Light also provides quality illumination when mounted on fences, decks, walls in any climate and is great to add light for sunny stairs and walkways. 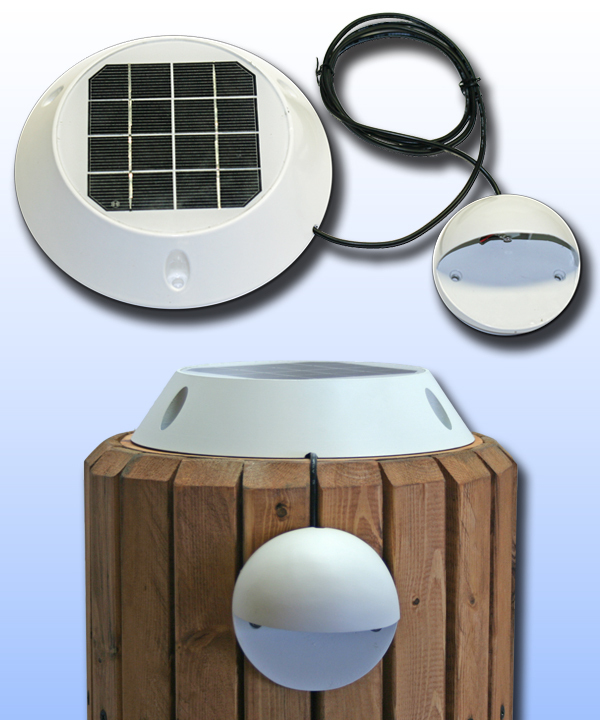 Choose from black or white finish and either White or Turtle-Friendly Amber LED. 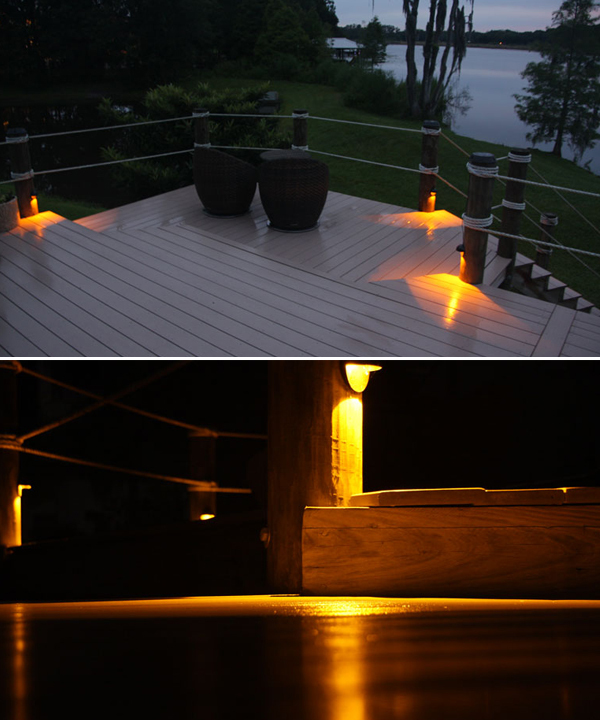 Four light settings are available, allowing you adjust the lights for seasonal use or for special occasions. 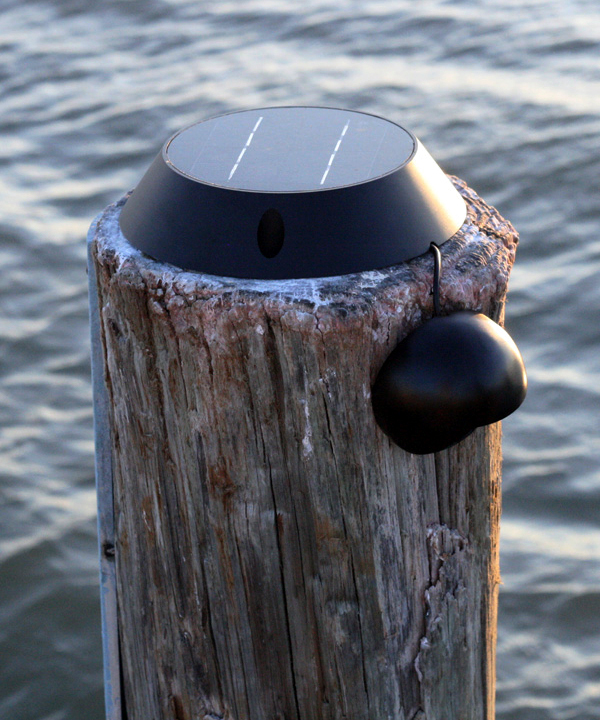 Long-life rechargeable LiFePo4 battery stores energy from the solar panel so that the lights automatically turn on at dusk and stay bright 16 to 20 hours on a full solar charge (4-6 hours of direct sun). This is a cost-effective solution with a one year Return on Investment generally seen through savings in electricity bills and the ability to install one or more units without installing UL certified wiring: no electricians, no site disruptions to install the lights. And, Solar Piling Down Light can be installed in minutes with common tools!